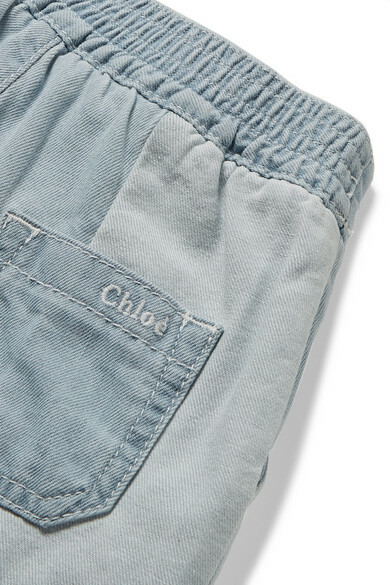 Chloé Kids' jeans are made from the softest cotton-denim in two slightly different washes and detailed with a sweet multicolored bow. 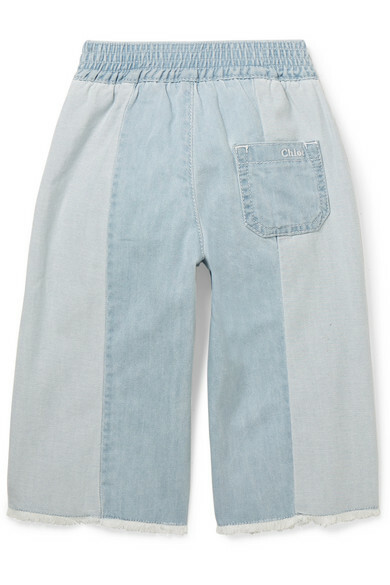 The elasticated waistband means they simply pull on over your little one's feet and feel comfortable and easy to play in. 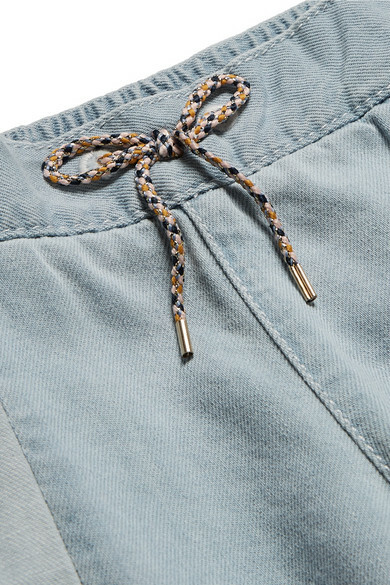 Hair slides and stickers can be slipped in the side pockets. Shown here with: Chloé Kids Top, Chloé Kids Cardigan, Chloé Kids Sandals.